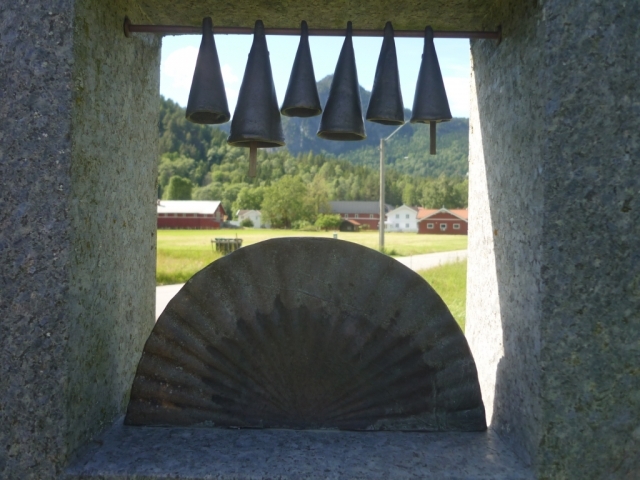 I came across these sculptures on a trip to Seljord, a short while ago. Stone monuments with a square area containing some artwork that can be seen against the backdrop of the surrounding scenery. There was also a phone number to call to hear a traditional folk-tune from the area and some information about the work. These were placed at various, seemingly random points in the landscape.